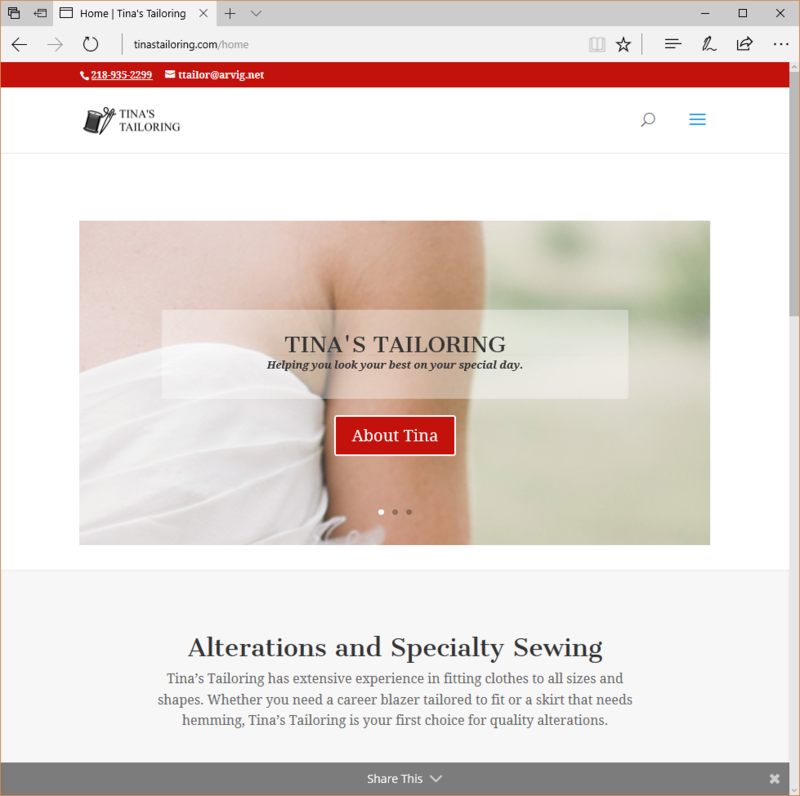 Tina’s Tailoring is a home-based business that specializes in clothing alterations and home decor. The company has been in business since 1998 and has done countless projects, large and small for customers in northwest Minnesota. The company had a website that had not been changed since its initial launch in 2005. The old site was not responsive, and the design did not accurately reflect the company’s brand. I was contracted by the company to create a fresh web design, one which highlighted the variety of services provided, included a call to action, pricing tables, and a map that showed customers the business location. Tina wanted a design that was clean, modern, and simple yet elegant. As I do for all the websites I create, I tagged images, embedded key words, and optimized the site for search engines. It is fast-loading, mobile-friendly, and optimized for viewing across devices. Michelle did an incredible job with our website! It is everything and more of what we asked for. Michelle is so easy to work with and listens to what you want. I had requested that the site be bright and colorful and she did exactly that! Even after the site has been up and running she is always making updates and keeping it running very smoothly. Tell me about your project.